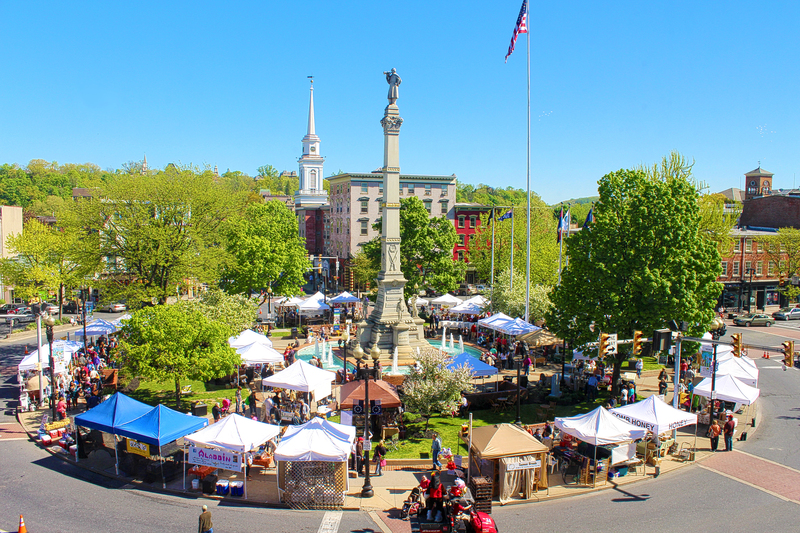 Celebrating 265 years in 2017, the Easton Farmers’ Market was established in 1752, and is still located at the same site, making it the oldest, continuous open-air market in America. The majority of produce is naturally/organically grown, and all meat and dairy products are antibiotic and hormone-free. All farms undergo a full on-site inspection. Prepared food and ready-to-eat vendors source ingredients from local farms whenever possible. EFM vendors also include local food purveyors, artisan breweries and distilleries, artists, and crafters. Open-Air Market in Centre Square, Easton PA - Since 1752!